Are you new to fundraising events or volunteer management? Need to get more volunteers to support your events? 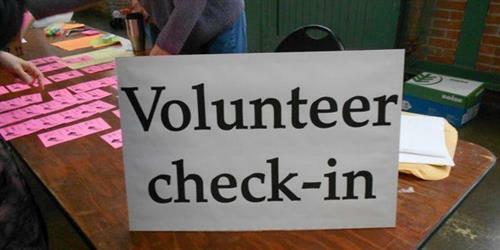 Need volunteers to support your nonprofit's programs and services? If you answered yes to any of these questions, then this information packed Double Header workshop is for you! That's one event and two trainings! The sessions, "How to Plan Successful Fundraising Events" and "How to Recruit, Manage and Maintain Nonprofit Volunteers" have been merged to create one seamless training. Michelle will also provide tips from her experience planning fundraisers, including dinners, walk-a-thons, auctions, golf tournaments, raffles, and special events. Pay What You Can This workshop is PAY WHAT YOU CAN, with a $20 seat reservation fee.